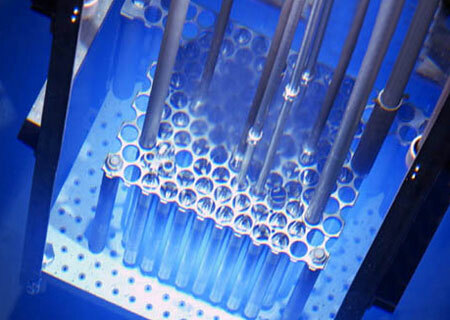 The nuclear industry requires lenses and optical systems that can withstand exposure to high levels of radiation and sometimes endure extreme temperatures. Resolve Optics Ltd has considerable experience of developing lenses and optical systems for applications in hazardous or difficult-access industrial environments. The Resolve Optics team has worked with leading companies in the nuclear industry to provide radiation-resistant, high performance solutions including non-browning lenses (focus and zoom), through-wall endoscopes as well as vision and remote inspection camera systems. Contact us now to discuss your application and to learn more about the elegant optical design and manufacture solutions we can offer for use in the Nuclear Industry.